Welcome to Zimmer Tractor We are a family owned and operated business, offering you the best in service, parts and accessories for several lawn mower, chainsaw, tractor, and hay tool brands including Kubota, New Holland, Cub Cadet, Scag, Exmark, Woods, Land Pride, STIHL, Echo, Jonsered, and Ventrac. There isn&apos;t a friendlier or more knowledgeable staff than ours. We&apos;re happy to help you find either the perfect outdoor power equipment or agricultural equipment, including the parts you&apos;ve been looking for. We service everything we sell. Check out our brochures to see what we have. If you need help in making your selection, call or stop in—we&apos;re always ready to help! 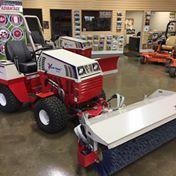 Zimmer Tractor has a long time commitment to provide Best-In-Class service to our customers. Since 1948 the Zimmer family has been providing parts and service to our communities, Franklin County, Union County, Fayette County, Rush County, Decatur County and Wayne County. In 1990, Daryl Zimmer the second generation, took over his father&apos;s business in Brookville, IN. He expanded the business in 1996 with a second store in Butler County, Ohio, serving Butler County, Hamilton County, Preble County Montgomery County, Warren County and Clermont County. In 1998, Zimmer Tractor expanded it&apos;s Indiana market into Dearborn County, Ohio County, Switzerland County and Ripley County and Jefferson County, as well as Boone County, Kenton County, Grant County and Carroll County in Kentucky . 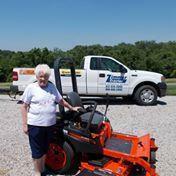 Then as recently as March 2012, Nugent Tractor "Business is Good" was purchased to expand it&apos;s outdoor power equipment business to the 62,000 daily travelers on 777 E. Eads Parkway in Greendale, Indiana. In May of 2012, a 3rd generation joined the company with the addition of their son, Daniel Zimmer. The major thrust of Zimmer Tractor&apos;s business is split 50% Commercial, Industrial and Turf related equipment while 50% still remains in agriculture specializing in hay harvesting equipment. 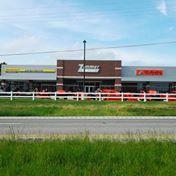 Today Zimmer Tractor is the largest tractor dealership in the Indiana, Ohio, and Kentucky - Tri-State area, specializing in Kubota & New Holland tractors, agriculture, estate, commercial and light construction equipment. If you measure your property in acres then we have the tractors and equipment to meet your needs. With four locations covering Indiana, Ohio, and Kentucky and over 25,000 customers in our data base, you&apos;ll find Zimmer to have a proven track record of customer satisfaction. We know individuality is important, which is why we pay close attention to the interests of each customer. From the minute you walk through the door, meeting your needs is our top priority. 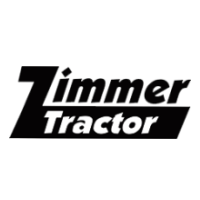 Founded not only on excellent customer service, but also on the principles of hard work and a focused attitude, Zimmer Tractor has a long list of satisfied customers.